I can almost see it! It was a great day to get started on the hoop house. 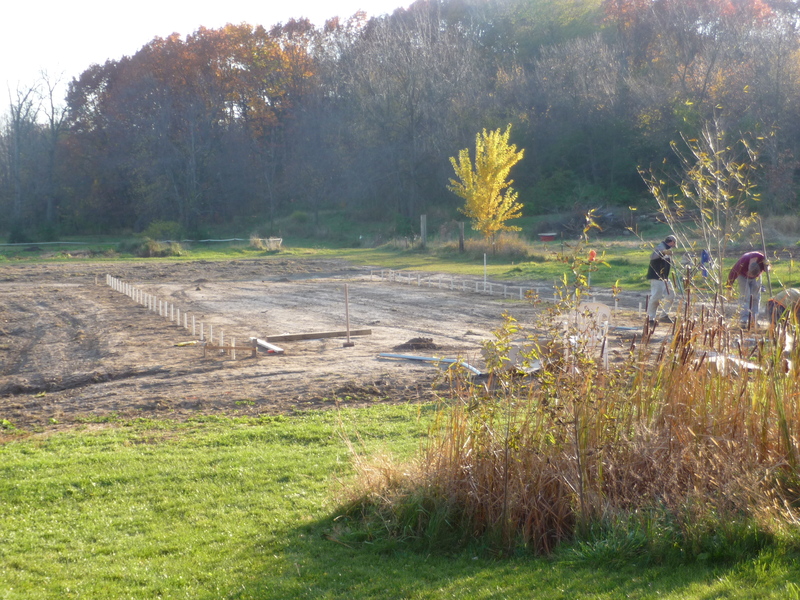 Mike, Matt and Casey set 52 ground posts today and we’ll be ready to begin assembly on Saturday! While they were working on that, I bagged beautiful yellow storage onions and put them where they will be safely stored until they find good homes. 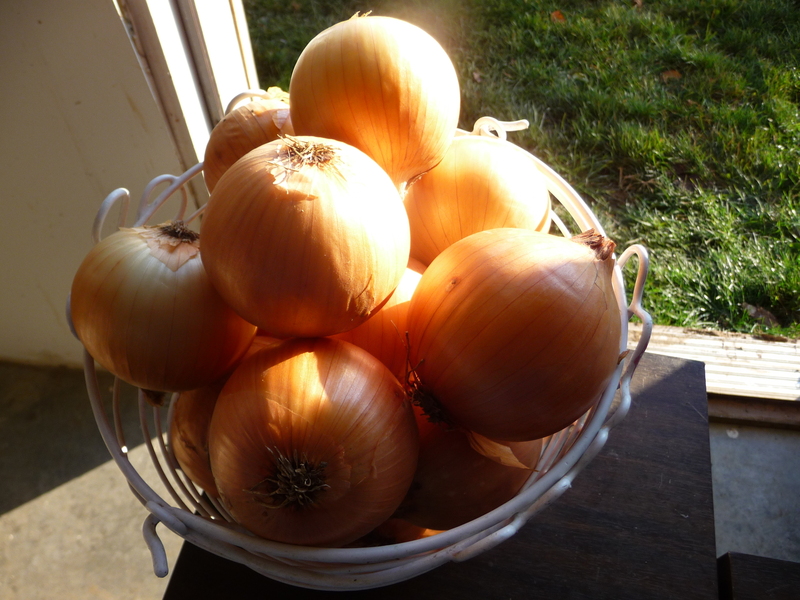 If you need onions, check the “farm market” page for more information. We also have pumpkins available for decoration or eating. Winter storage shares and Extended shares will have the first pick-up next week. If you have signed up for these, more information will be sent to you soon. Water House Foods is also offering extended bread shares! If you would like to sample some of their wonderful baked goods just let me know! Pick-up will be at the farm and the cost is $12.00 for 2 bread deliveries. You do not have to purchase a vegetable share to enjoy a 2 week bread share. This entry was posted in Uncategorized and tagged carrots, Daikon, eggs, Extended Season Shares, high tunnel, hoop house, onions, Organic, pie pumpkins, Potatoes, pumpkins, rutabaga, storage onions, Winter Storage Shares on 2 Nov 2011 by Meg. Can you see the hint of green in the fields? Wow did I ever get spoiled with the nice weather last week. The chickens were joyfully searching out the greenest plants that they could find! Then came the rain, and now the cold. The grass doesn’t taste as good when it’s frozen, I guess. It’s back to the bolted tatsoi and turnip tops from the hoop house for the chickens, and back to the sunny window for the onions plants. It was pretty cold in the hoop house this morning (as in frozen), I had pulled off all of the covers last week. Most of the plants from fall are coming back, but they are bolting and have been going to feed the girls. I did manage to find a few tasty treats tonight. 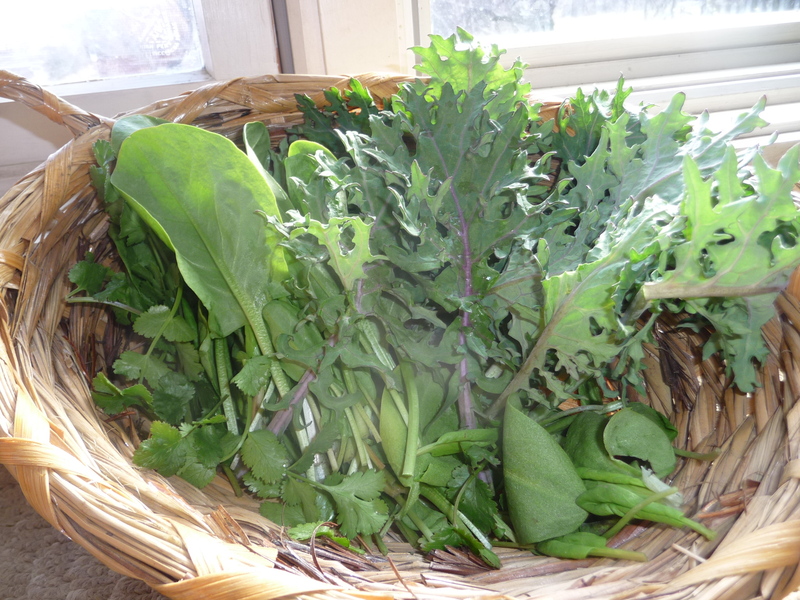 I am starting to think of a nice warm sorrel and kale soup with these tender greens. Lets see how it turns out, but how can you go wrong with such flavorful greens. As I am writing this, my hands smell like fresh cilantro. A perfect topping for soup! This entry was posted in Hoop House and tagged chickens, CSA, eggs, greens, hoop house on 24 Mar 2011 by Meg. 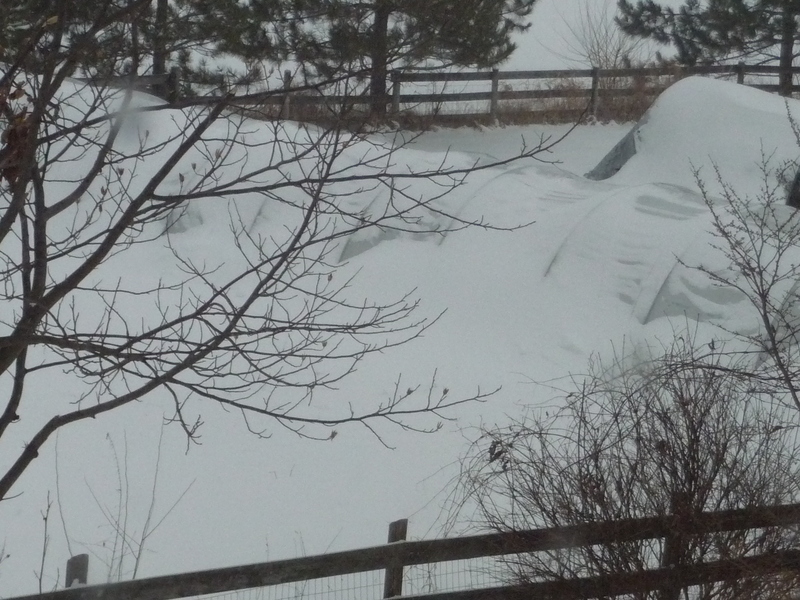 There is a hoop-house and a turkey tractor under that snow! I know that there are delicious greens under that snow, just waiting for a few sunny, warm days! 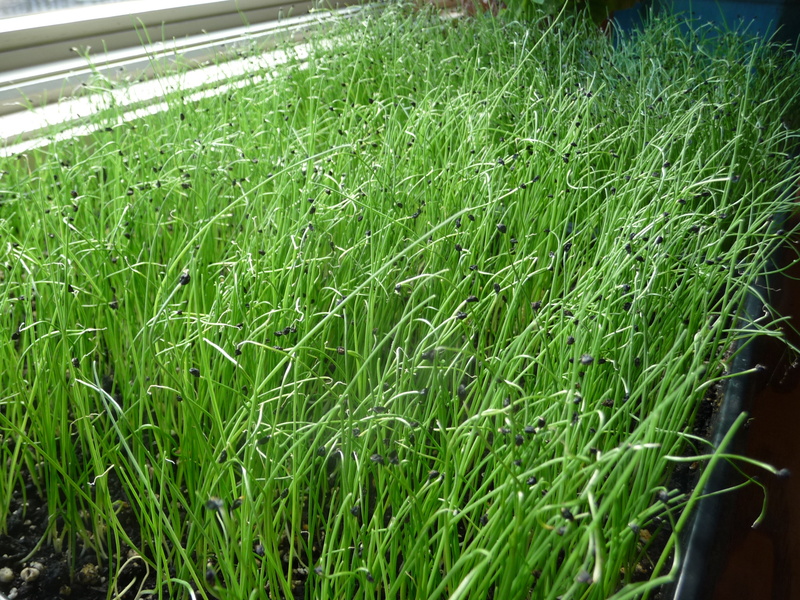 In a few weeks, we will harvest what is ready and begin re-planting for our spring greens. Another sign of spring is Matt’s return to Wisconsin after a few relaxing months in Central America. Well-rested, he handled the 2 day layover in Dallas remarkably well as he waited to find the first southern Wisconsin airport that would re-open after the big blizzard of 2011. Now he seems ready to start planting some seeds! We are excited about the veggies that we are planning on for 2011. We are looking forward to some of our old favorites and some mouth-watering new varieties. 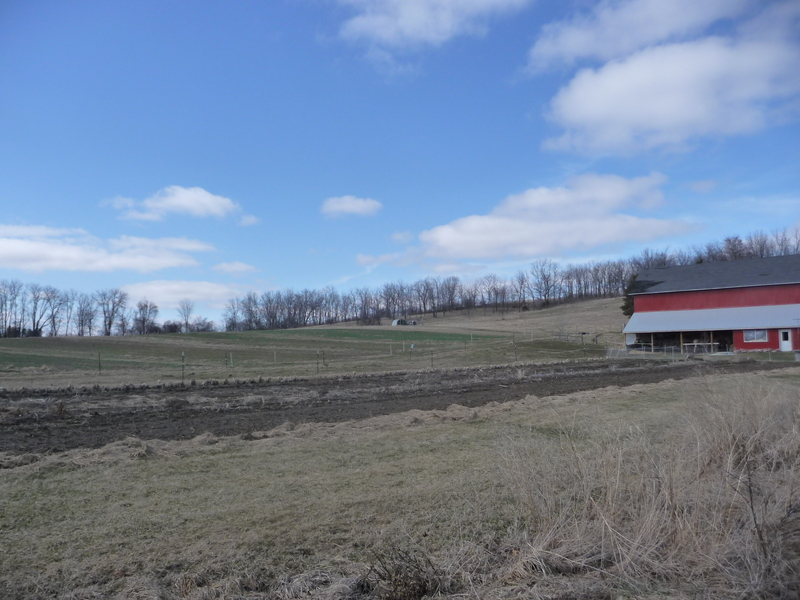 As we look out the window at all the deep snow, our eyes always seem to turn towards the fields as we daydream about feeding the soil that will grow healthy and nutritious vegetables for out next season. I know that those days will be here before we know it and there is plenty to do before the snow melts! 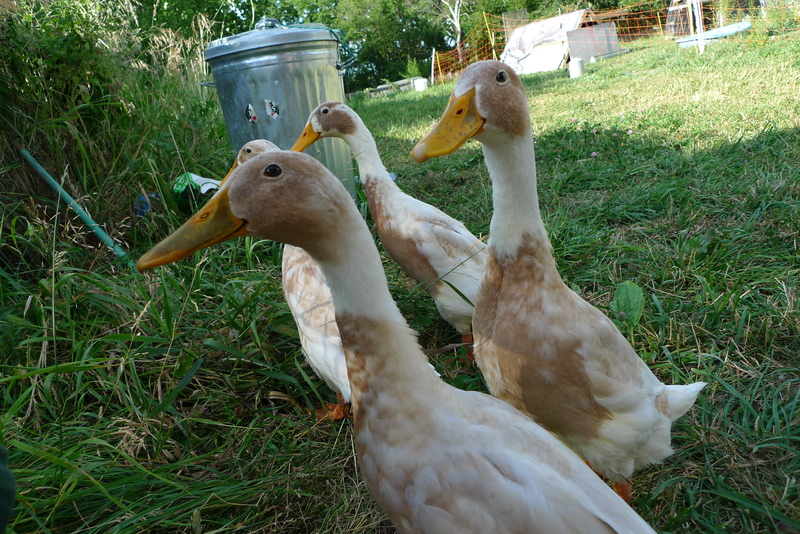 The membership is growing this year, and we look forward to meeting all of our new farm friends! There is still room in the CSA for more members and we have added another share size for members who enjoy canning or have large families. Although we are adding a few additional shares this year, we expect to fill up again fairly early in the season. We still have some nice organically grown potatoes for sale, and we almost always have eggs available for sale before the CSA season starts. 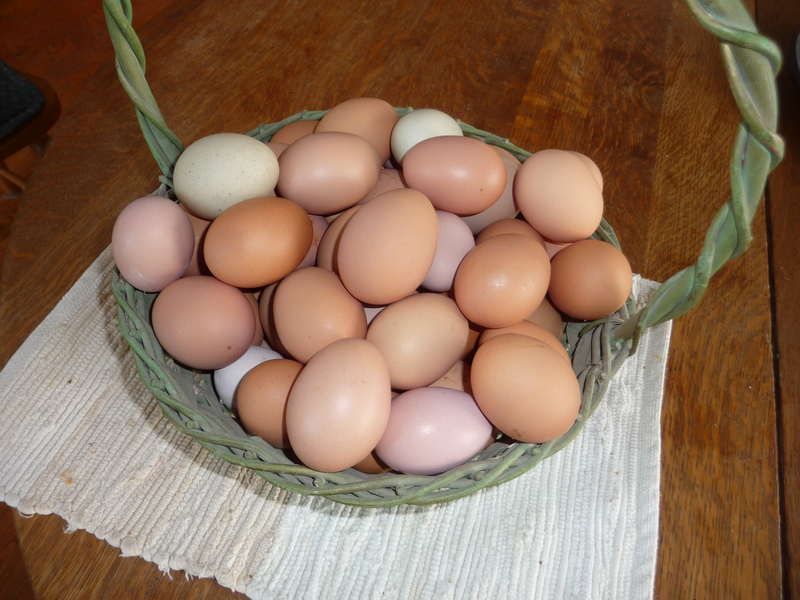 Feel free to call if you need eggs or potatoes or if you have questions about the CSA: 920-699-3658. This entry was posted in Uncategorized and tagged CSA, eggs, hoop house, Organic, Potatoes, Produce Shares, veggies, worker shares on 6 Feb 2011 by Meg. 2011, and (belated) welcome to it! Our winter is whirling by faster than any that I can remember! The days are getting longer, the sun is higher, the chickens are getting restless and the seed catalog’s beckon! We will be sending out renewal notices and posting membership information here soon, there are just a few details to the upcoming season that we are working on and then the seed ordering begins! It’s very satisfying to look at the beautiful and bountiful seeds that we have saved from some of last year’s plants. (Okay, that Matt saved from last year.) Looking at the bucket-full of bean seeds takes me back to the summer day that I watched Matt and Casey with the box fan cleaning the chaff from the seed. They did a darn good job, too! This will be the 3rd generation for some of the spinach that we will be providing for our members again this year. 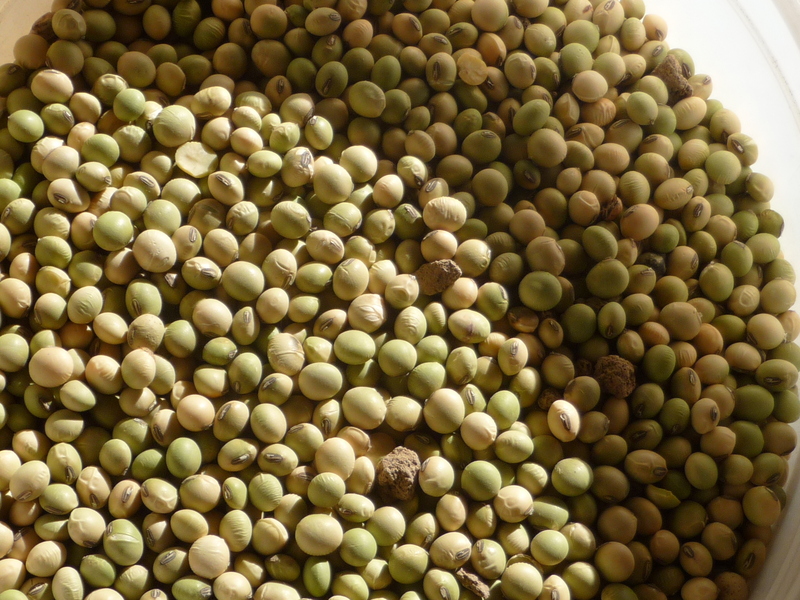 Because we grow several varieties of most vegetables that we grow, we often don’t save seed with concerns of cross-pollination (although that can be interesting too!). We often don’t have the time or space to let the plants linger to seed stage either, but we hope to do more seed saving in the future. 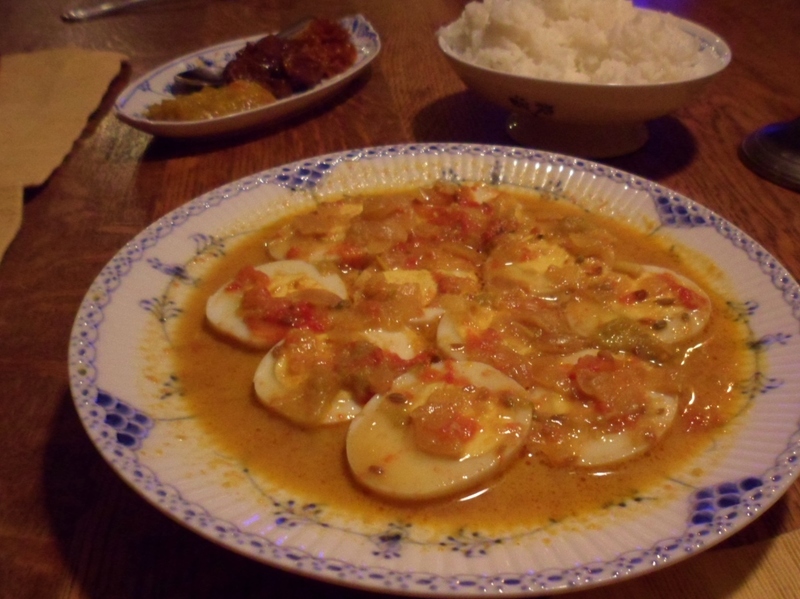 Then I will know that those tomatoes that I am dreaming of will be back again next season! Meanwhile, down in the barn, the chickens are hoping for the snow to melt so that they can see what last year has left for them out in the fields. I have seen chickens that venture into the snow at other farms, but never here on our farm, although they do like to taste the snow while standing on safe, dry ground. They did manage to find some nice green wheat shoots out in the field between the snow melt and the last dusting of snow! This winter I took big jump and purchased a fancy nest-box setup for the ladies. They were clearly missing their tractor nests and several hens were too large for comfort in the make-shift nests that I had given them in the barn. (I thought they were pretty nice, personally.) The catalog promised that the bigger girls would love this. I was shocked at just how much they did! It appeared to be the chicken dream-house that they’d been hoping for! Before I could even get it set up there were over 20 hens climbing on it when the whole thing tipped and crashed to the ground. Now that it is secured, it is their new favorite egg-laying spot, and our egg production went up shortly after. 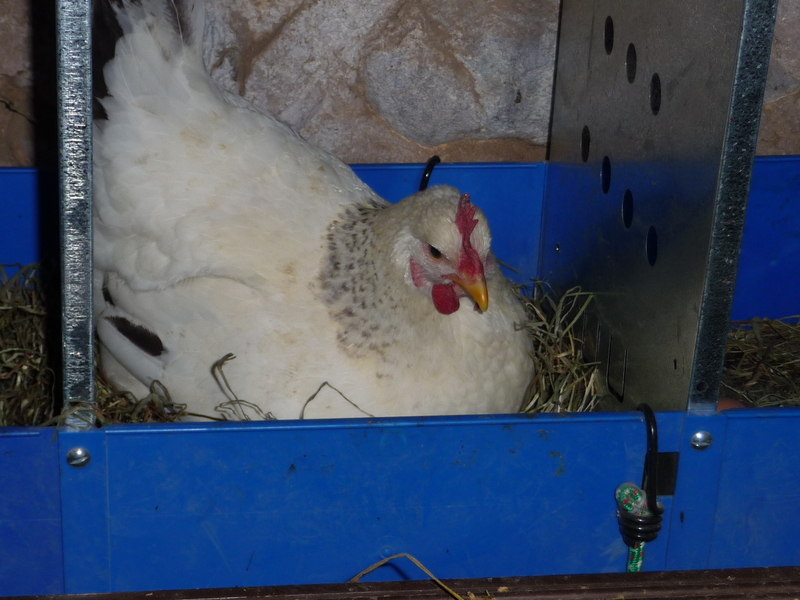 There is one independent group that all like laying in a large milk crate that has a very fancy (in their opinion) canopy over it for privacy, and the smaller hens aren’t pestered in their small nests any more. 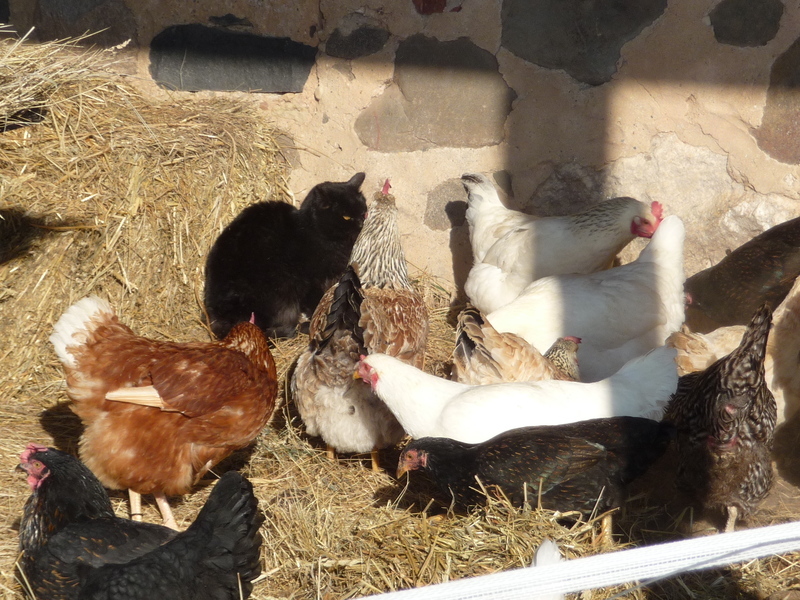 There you have it…the secrets to a happy hen house. ‘Tiny’ the cat, being evicted from his happy place. The rewards of a happy hen-house! 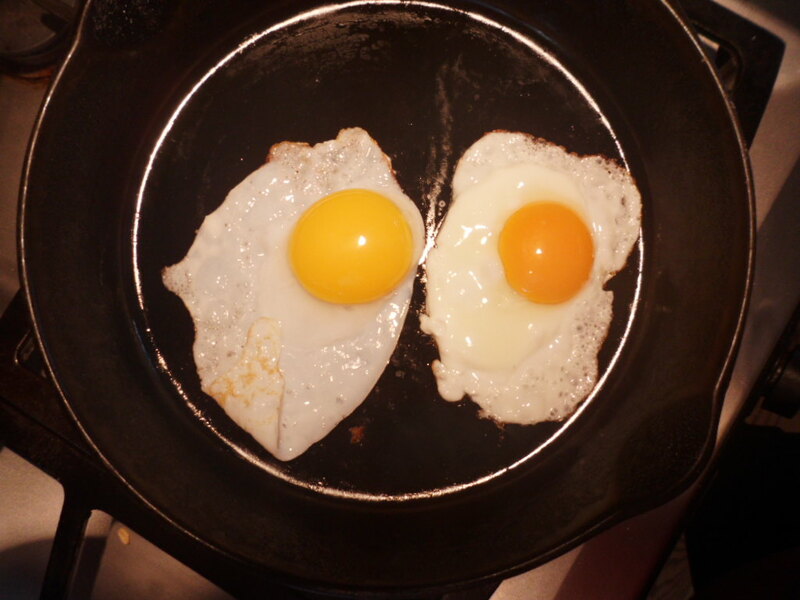 This entry was posted in Chickens & Eggs and tagged chickens, CSA, eggs, seed saving on 6 Jan 2011 by Meg.